Their Royal Highnesses Crown Prince Alexander and Crown Princess Katherine attended the opening of the exhibition “Together we win“ about American-Serbian friendship, organized on the occasion of the 100th anniversary of “Serbian Day“ in the United States of America 28 July 1918. 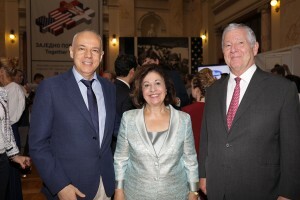 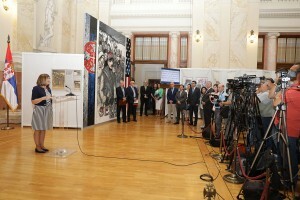 The exhibition was officialy opened by HE Mrs. Maja Gojkovic, Speaker of the National Assembly of the Republic of Serbia, and audience was also addressed by HE Mr. Kyle Scott, the Ambassador of United States in Serbia and Mr. Vladimir Ceh, the author of the exhibition. 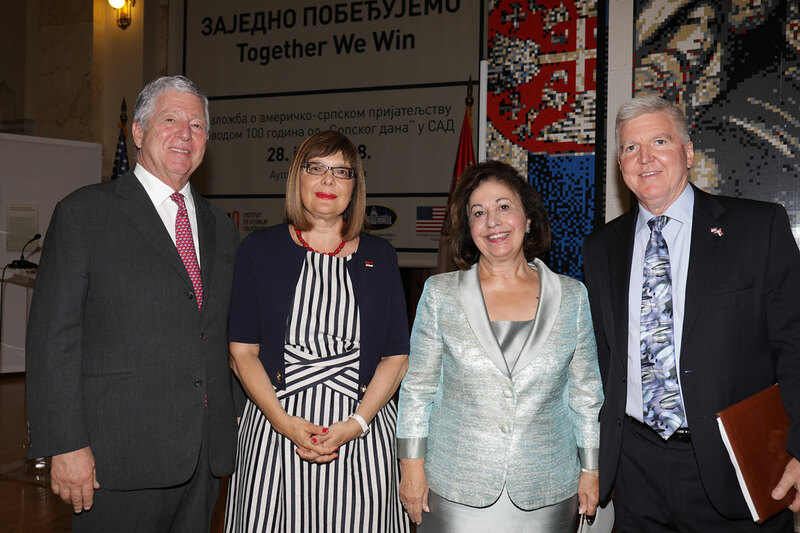 The Serbian flag was raised on the White House roof in 1918, and our great scientist Mihajlo Pupin, who was the honorary consul at that time, as well as a friend of President Woodrow Wilson, played a major role in this act. 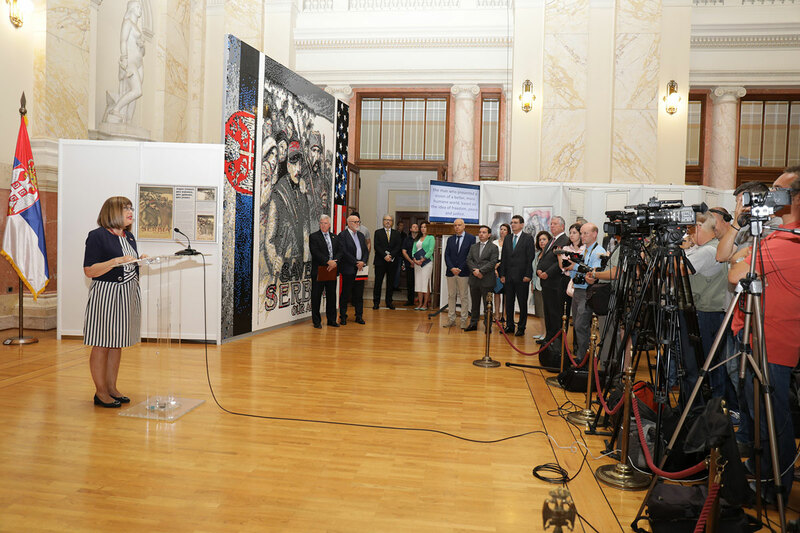 In support of the Serbian people and it’s heroism, the President of the United States declared “Serbian Day“ on the fourth anniversary of the Austro-Hungarian declaration of war on Serbia, 28 July 1918.